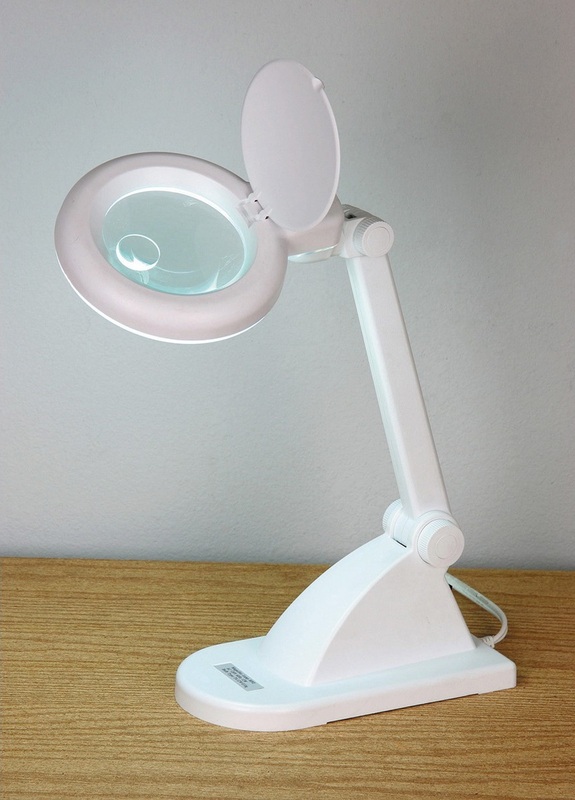 20-inch tall, 120V desktop magnifying lamp with a 11 watt circular fluorescent bulb that surrounds the lens to provide cool, bright light under the center of the magnifying glass. Serves as a great tool for machinists, electronics technicians, coin collectors, and other hobbyists, needing to do detailed work or inspection. Shipping size and weight are estimated. If needed, contact me for details. Thanks for looking, good luck with this auction, and check out my other listings for a wide variety of excellent tools at discount prices.